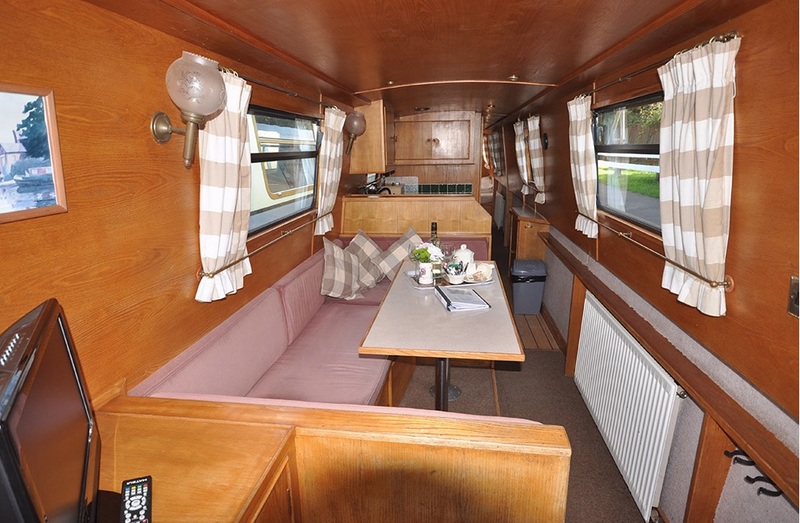 The V-Tame class canal boats. 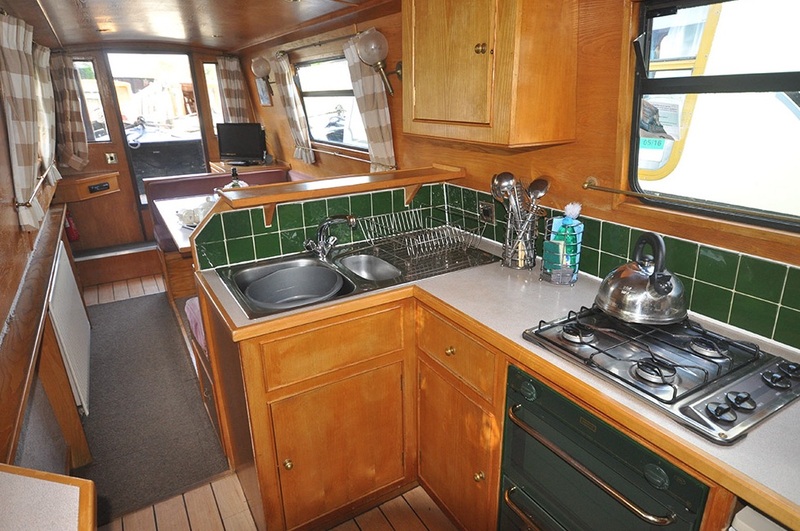 The Kitchen is fully equipped with 4 burner gas cooker, grill and oven . 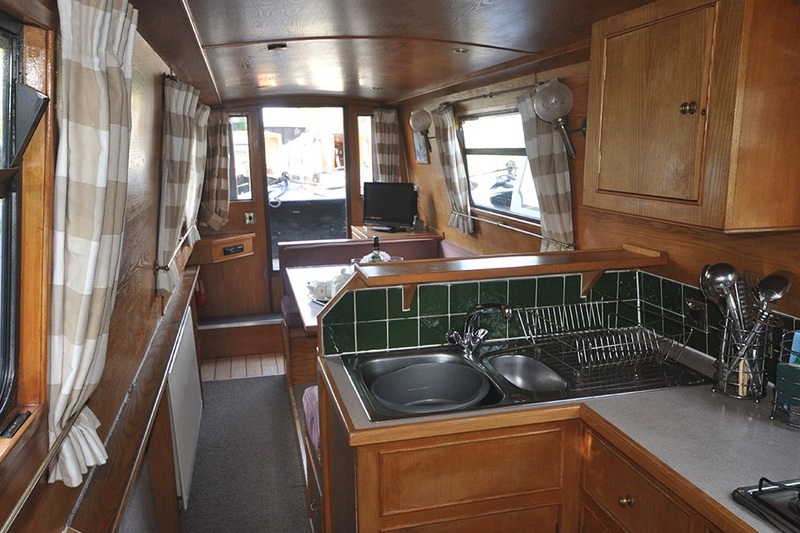 Refrigerator, sink and drainer, saucepans, cooking utensils, crockery and cutlery for the number of berths. There is plenty of storage space, and work surfaces. Also supplied is a kettle. There is a 240v hairdryer and iron and a 12v socket for mobile phone charging(lead required) use your own appliances at your own risk.